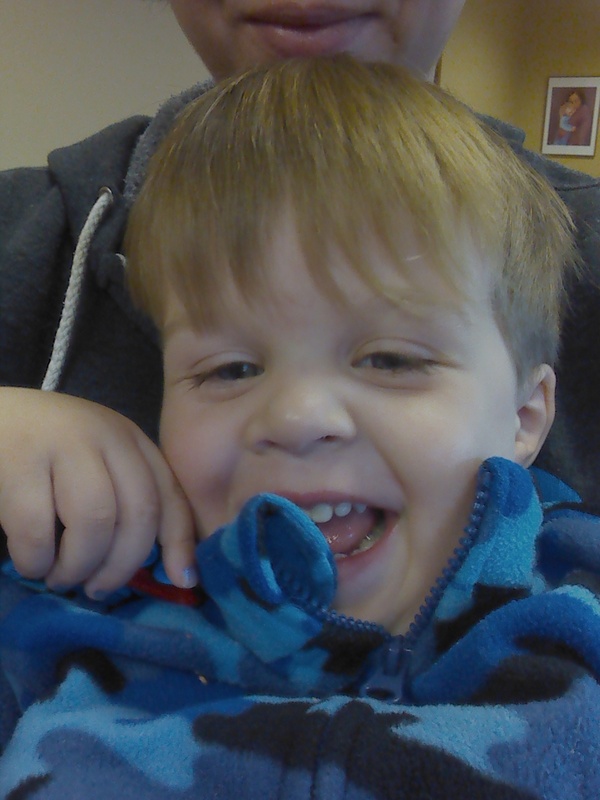 Henry had his follow-up ENT appointment following his tonsillectomy, adenoidectomy, and his ear tubes put in, today. It went well, he was happy and followed along well. When the doctor looked in his ears (look good!) And nose (look good!) He popped his little mouth open like a baby bird before the man could change the attachment on his flashlight (throat also looks good). He also needed a follow-up hearing test. He definitely did better than last time. But. So let’s back up a second. Around adults, if something is not conclusive, it is inconclusive. With toddlers (and I understand teenagers as well; this is where “threenager” comes from – let’s revisit in 10 years) there is an interim state of inconvenisive. This is when a result is not conclusive because it was deemed inconvenient to participate. It can’t be determined to be conclusive or inconclusive. In this case, Henry did pretty well at some frequencies. He’d point, he’d look towards the side the sound was coming from. Except when he didn’t. The hearing test lady (who surely has both a title and a name but I caught neither) said she would try a different sequence, way of asking, and other frequencies, but he wouldn’t even look with his eyes towards the sound. If Henry were bigger, this would mean something. However, he’s on the cusp of three. He heavily weights his own desire over any outside stimulus when it comes to decision-making. And sometimes his choice is to tune all the BS out. So we will have annual hearing tests until he levels up from “inconvenisive” to the world of the mutually exclusive. Glad the procedures went well. Thanks 🙂 Very, very, very worth it for us.